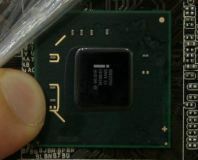 Here’s a quick bit of overheard info for you – Intel’s replacement for its current high-end Core i7 CPU range will arrive in Q3 2011, so if you’re planning an LGA1366 upgrade now (perhaps with a Core-i7 930) then it’s still got plenty of life left in it. 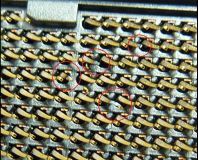 The bad news is, there will be no compatibility between current LGA1366 Core i7s and the new socket. Intel is planning on launching a new socket for every new major CPU revision as it’s continuing to incorporate more and more features into future CPUs, which means pin-counts and sockets will inevitably change. Our sources in Taiwan also told us that the new chipset that will accompany this socket - inevitably being called "X68", although this is far from being an official name - will feature four DDR3 DIMM channels. It will only support one DIMM per channel as this maximises memory bandwidth, but memory density will be overall lower than current LGA1366, Core i7 systems as there will only be four sockets versus the six you see on current X58 boards. 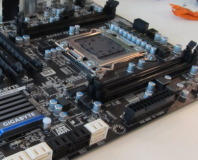 The chipset will include more PCI-E lanes of some description, either 2.0 or 3.0. No details on the socket pin-count or size are available yet, however we do know the first CPUs will be a native eight-core, 16-thread design (as seen in the just launched Xeon X7650), based on the upcoming Sandy Bridge architecture. The good news is for those who upgraded to LGA1366 in late 2008 or even last year have had a fantastic investment of their money as we expect their systems will continue to be the fastest products available until the replacement late next year. Interested in saving up for a new 8-core behemoth? Does this change your upgrade cycle? Let us know your thoughts, in the forum.